On Friday August 4th, WagonWheel Presents… joins forces with Hop Hideout for a very special gig. We’ll be getting up close and personal with The Fargo Railroad Co. in the intimate surrounds of the Abbeydale Road beer shop & tasting room. 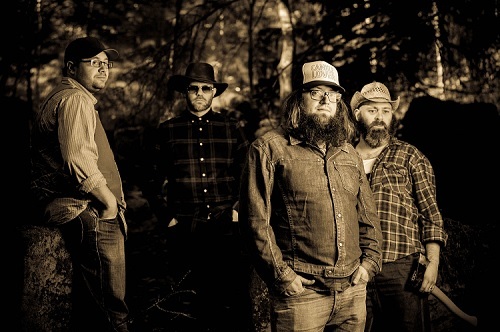 Whilst usually better known for their electrically charged live shows, for one night only they’ll be playing their Southern Rock & Americana influenced tunes completely unplugged and acoustic. You can expect all your usual live favourites, just played a little differently with no doubt a few more of the stories behind the songs too (you may even get chance to ask questions). Due to the cosy confines of this unique venue, tickets are strictly limited and advance booking is highly recommended. When places are gone, they’ll be gone. Priced at £8 they will be on sale from http://www.wegottickets.com/event/410130 at 9am on Monday July 10th. Doors for the event will be 8pm. The Fargo Railroad Co. have gone from strength to strength since forming in 2013 and have steadily built a reputation as one of Sheffield’s hottest live acts. Drawing on a vast range of musical influences, from old school thrash metal to easy listening, jazz to blues, rock & funk to folk, country and bluegrass, they found common ground in the broad and deep ocean of Southern Rock. They released their debut album, live recording Sharing The Load, in early 2015 and had a busy summer of festival appearances. They rounded off 2015 with a sold out second birthday show and a live acoustic EP, before the end of 2016 saw them release their first full length studio album This One’s For You in front of another sell out crowd. 2017 sees them play both Maverick and SummerTyne festivals as well as a host of other dates around the country.